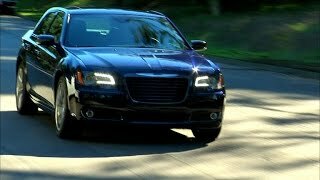 Chrysler has revealed the new Chrysler 300S which gets a toughened appearance and has been updated with blacked out design elements. The top-of-the-line full-size luxury sedan has been updated with features which include a fresh Dr. Dre treatment - a new Dre-designed, Dre-approved Beats Audio sound system and other state-of-the-art technology features. All this features offer customers a combination of quality, distinct style and craftsmanship. 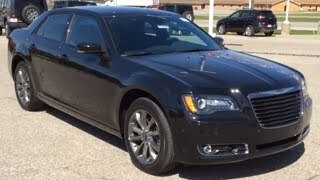 The new 2014 Chrysler 300S model features a monochromatic look with specially appointed body-color door handles and fascia inserts. A new Black Chrome grille surround features sculpted horizontal grille blades in the same unique finish, while front and rear Chrysler wing badges in Liquid Chrome with black “Chrysler” center logo. A new 20-inch wheel design (19-inch with AWD) features a sculptural appearance and Hyper Black finish. The interior continues the athletic-luxury theme with 12-way power driver and passenger sport seats, featuring black, or all-new Ambassador Blue Nappa leather with silver accent stitching. The center console armrest and door armrests are color matched. It also gets the award-winning Uconnect 8.4 system. 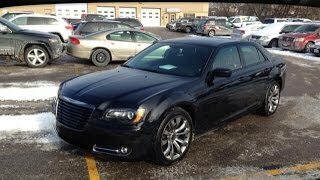 The 2014 Chrysler 300S is powered by the award-winning 3.6-liter Pentastar V-6 engine with a cold-air induction system and sport-tuned exhaust system – enabling the aluminum mill to produce 300 horsepower and 264 lb.-ft. of torque. The model includes the segment-exclusive eight-speed automatic transmission with sport mode. For more performance, the Chrysler 300S rear-wheel and all-wheel drive models are available with the 5.7-liter HEMI® V-8 engine.